International Boxing Hall of Fame member Orlando Canizales won the IBF World Bantamweight championship after stopping Kelvin Seabrooks at 1:03 of round 15 at the Sands Casino Hotel in Atlantic City, New Jersey on July 9, 1988. Canizales scored knockdowns in round one and 15 and led on the scorecards 138-127, 138-128, and 137-128 at the time of the stoppage. The 22 year old Canizales improved to 20-1-1, 17 KO’s and would go on to defend the title a Bantamweight record 16 times. The 25 year old Seabrooks was making the fourth defense of the title and fell to 26-14, 21 KO’s. 6/3 – Ring Mag #3 & WBC Light Heavyweight Champion Adonis Stevenson made his 8th defense of his title against unrated Andrzej Fonfara, stopping him at :28 of the 2nd round at the Bell Centre in Montreal, Quebec, Canada. Stevenson dropped Fonfara in the 1st round and then when the 2nd round started and Fonfora had no answers for the Stevenson onslaught, trainer Virgil Hill stepped on the ring apron signaling for referee in charge Michael Griffin to wave off the bout. This was a rematch from 2014, when Stevenson won a 12 rd UD. Stevenson has now stopped 4 of his last 5 foes, including 3 straight. 6/3 – On the undercard of Stevenson/Fonfora, Ring Mag #4 Light Heavyweight Eleider Alvarez won a 12 rd MD over unrated Jean Pascal by the scores of 117-111, 116-112 & 114-114. There were no knockdowns, but there were several heated exchanges throughout. Pascal mostly waited until near the end of each round to try to steal it on the judges scorecards and it worked on 1. Alvarez has gone the distance in 5 of his last 6 and remains the #1 contender for WBC Champion Adonis Stevenson. 6/3 – Ring Mag #1 Strawweight and WBC Champ Wanheng Menayothin aka Chayaphon Moonsri successfully defended his title for the 7th time with a 12 rd UD over unrated Omari Kimweri in Thailand. Menayothin was cut over the left eye from an accidental headbutt in the 1st round, which resulted in a point deduction for Kimweri. It appeared that Kimweri then scored a knockdown at the end of the 1st round, but the referee ruled it a slip. It was all Menayothin from there as he controlled the remainder of the fight. This was his 5 straight fight that has gone the distance. 6/7 – Ring Mag #7 Middleweight Avtandil Khurtsidze was arrested in New York on racketeering & fraud charges in connection with a Russian crime mob. He was scheduled to take on #4 & WBO Champ Billy Joe Saunders on July 8th. That fight is now postponed as Khurtsidze is unable to travel. 6/9 – Ring Mag #5 Jr Welterweight Regis Prograis crushed formerly undefeated Joel Diaz at 2:55 of the 2nd rd. Prograis dropped Diaz 4 times in the round and ref in charge Mark Nelson had no choice but to halt the action. Prgrais has now stopped 13 of his last 14 foes, including 5 straight. Diaz suffered his 1st loss in 24 fights. 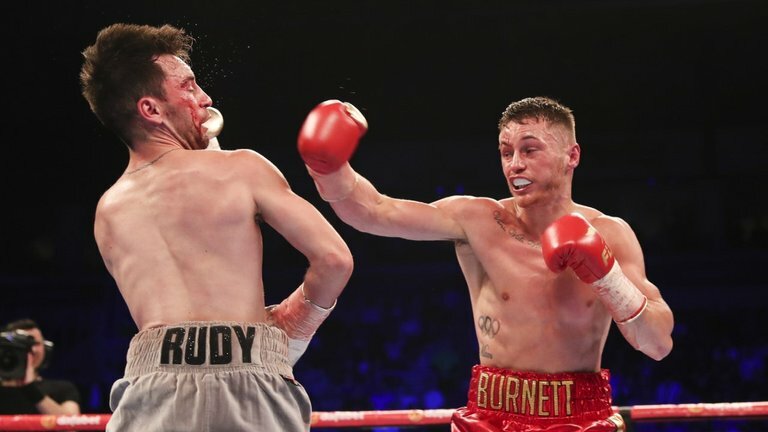 6/10 – Ring Mag #3 Bantamweight & IBF Champ Lee Haskins lost his title by 12 rd UD to unrated, but undefeated Ryan Burnett at the Odyssey Arena in Belfast, Northern Ireland by the scores of 119-107 twice & 118-108. Burnett dropped Haskins twice, once in the rd 6 & again in rd 11. Originally the bout was scored as a SD victory, but was later overturned as 1 of the judges had the fighters mixed up on his scorecard. Burnett’s last 6 fights have gone the distance & this is his 1st World Title. Haskins had his 8 fight winning streak snapped. 6/10 – Ring Mag #6 Strawweight Simphiwe Khonco easily won a non descript 12 rd UD over unrated Lito Dante at Emperors Palace in South Africa by the scores of 119-109 twice & 118-110. Khonco dominated from the outset. Khonco has now won 12 of 13, including 3 straight since his last loss, a 12 rd ud to current Ring Mag #9 Jr Flyweight Hekkie Budler for the WBA Staweight title. 6 of his last 7 wins have been by decision. Dante lost just once in his previous four fights and had beaten solid competition of late. 6/11 – Evander Holyfield, Marco Antonio Barrera, Johnny Tapia, Jimmy Lennon Sr, Eddie Booker, Jerry Roth, Barry Tompkins, Steve Farhood & Johnny Lewis were inducted into the International Boxing Hall of Fame in Canastota, New York. Barrera was a world champion in 3 divisions: Jr Featherweight, Featherweight, & Jr Lightweight. He retired with a record of 67-7, 44 KO’s. Holyfield was a US Bronze Medalist in the 1984 Olympics before becoming a World Champion in 2 divisions: Cruiserweight & Heavyweight. He retired with a record of 44-10-2, 29 KO’s. Tapia was a World Champion in 3 divisions: Jr Bantamweight, Bantamweight & Featherweight. He retired with a record of 59-5-2, 30 KO’s & passed away on 5-27-12 due to heart problems. 6/11 – Twenty-five year old Featherweight Daniel “Twitch” Franco is comatosed and in critical condition following emergency surgery to stop brain bleeds after being knocked-out by Jose Haro on a CBS Sports Network televised bout at the WinnaVegas Casino in Sloan, Iowa. 6/13 – Ring Mag #10 Flyweight Takuya Kogawa lost a 10 rd SD to unrated Masayuki Kuroda at Korakuen Hall in Tokyo, Japan by the scores of 96-93, 95-94 & 94-95. Kogawa was dropped in the 1st rd from a left hook and the action was back and forth from then on. Kuroda has now won 4 of his last 5, including 3 straight. Kogawa had his 6 fight win streak snapped. This was a rematch from last March when Kogawa won a 10 rd UD. Is there a trilogy in order? 6/15 – Ring Mag #2 Heavyweight & WBC Champ Deontay Wilder was arrested for misdemeanor marijuana possession in Tuscaloosa, Alabama. 6/17 – Ring Mag #6 Middleweight Avtandil Khurtsidze was stripped of his interim WBO World Title following his arrest last week. Ring Mag #4 Billy Joe Saunders is the real WBO Middleweight World Champion. 6/17 – The top 2 fighters in the Ring Mag pound for pound rankings & Light Heavyweight rankings squared off with WBA, IBF & WBO World Champion Andre Ward scoring a TKO at 2:29 of the 8th rd over Sergey Kovalev at Mandalay Bay Hotel & Casino, Las Vegas, Nevada in a direct rematch from their fight last November. Ward also became the Ring Magazine World Light Heavyweight Champion. Like their 1st bout, this fight ended with controversy as referee in charge Tony Weeks stopped the bout after Ward landed a blatant low blow. Kovalev was hurt badly and reeling from a counter right that landed on his chin when Ward landed four consecutive left hand body shots, the last clearly low. Kovalev had success early with his jab, but Ward looked stronger in the middle rounds. At the time of the stoppage Ward led 67-66 on 2 of the judges scorecards, with the 3rd judge having Kovalev ahead 68-65. Afterward Ward and his trainer mentioned moving up to heavyweight to take on current Ring Mag #1, IBF, & WBA World Champion Anthony Joshua. Kovalev was frustrated with the outcome at the post-fight press conference and his promoter, Main Events, said they would file a protest with the Nevada State Athletic Commission. Their initial fight was an extremely close encounter last November, when Ward won a disputed 12 rd UD. The Ring Magazine Title had been vacant since Nov ’15 when Adonis Stevenson was stripped for lack of quality opposition. 6/17 – On the undercard of Ward/Kovalev, Ring Mag #7 pound for pound, #1 Jr Featherweight & WBA Champ Guillermo Rigondeaux and Ring Mag #6 Moises Flores fought to a no-contest after Rigondeaux was initially awarded a 1st rd TKO win. Rigondeaux landed a knockout shot just after the 1st rd bell sounded and the Nevada commission overturned the initial ruling. Rigondeaux was making the 8th defense of his title, while Flores was the interim WBA titleholder. 6/17 – Also on the undercard of Ward/Kovalev, Ring Mag #10 Light Heavyweight Dmitry Bivol stopped unrated Cedric Agnew at 1:27 of the 4th rd. Bivol scored a knockdown in the opening stanza & although Agnew rose & continued on, he could withstand no more and indicated to ref in charge Russell Mora that he was done. The undefeated Bivol is the WBA ‘regular’ champion, but Andre Ward is the real champion of the Organization. 6/17 – Ring Mag #8 Super Middleweight Tyron Zeuge won a 12 rd UD over unrated Paul Smith at Rittal Arena in Wetzlar, Hessen, Germany with all 3 judges turning in identical 119-108 scorecards. Zeuge scored a knockdown in the 12th rd. The undefeated Zeuge has now gone the distance in 4 of his last 5 wins. Zeuge holds the ‘regular’ WBA World Title, but George Groves is the real champion of the Organization. 6/24 – Ring Mag #6 Cruiserweight Krzysztof Glowacki stopped unrated, but undefeated Hizni Altunkaya when Altunkaya failed to come out for the 6th rd at the Ergo Arena in in Gdansk, Poland. Glowacki scored a knockdown in the 2nd rd & 2 more in the 5th round. It was his 1st fight since his 1st career loss when he lost the WBO title via 12 rd UD to current Ring Mag #1 & WBO Champ Olksandr Usyk last Sept.
6/26 – Former two division World Champion Beibut Shumenov announced his retirement due to an eye injury suffered shortly prior to his last fight in May of ’15. He was to fight later this month, but the eye wouldn’t heal. Shumenov held the WBA world Title at both Light Heavyweight & Cruiserweight. He retires with a record of 17-2, 11 KO’s. Each of his losses were by close decisions in World Title bouts. 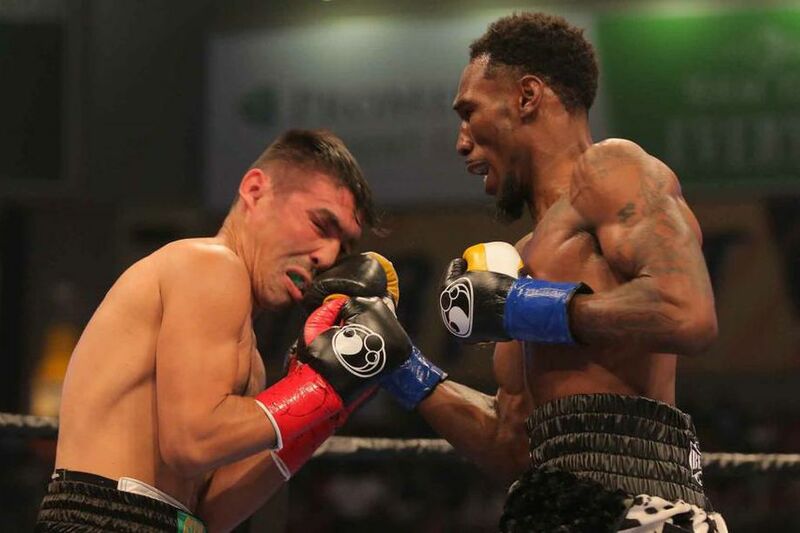 6/30 – In a battle of top 5 Lightweights, Ring Mag #3 & IBF Champion Robert Easter successfully defended his title for the 2nd time with a 12 rd UD over Ring Mag #4 Denis Shafikov by the scores of 120-108 twice & 116-112 at the Huntington Center in Toledo, Ohio. The fight was closer to the 116-112 score, but there was no doubt that Easter’s length was a huge advantage. His last 3 fights have gone the distance. Shafikov had won 5 of 6 entering and each of his 3 losses have all come in World Title bouts.